Writer, photographer, problem-solver, and efficiency maven. 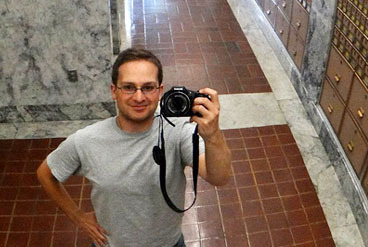 Evan is best known for his domestic travels, during which he has visited all 50 states and documented more than 9,000 post offices. Read more about his blog, Postlandia, below. Evan's background, academic and work histories, media appearances, and why he does what he does. Need More? Try 29,000 Pics! It just so happens that Evan has compiled the world's largest curated digital collection of online post office photographs! Check out his work with the Post Mark Collectors Club (PMCC), here. Celebrating America's post offices and places. 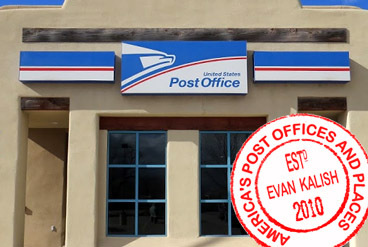 Evan has visited 9,000+ post offices across the United States! Join him on his adventures with Postlandia, a journal of stunning photographs and stimulating stories from America's most interesting post offices and places. We're on Facebook! And Instagram! 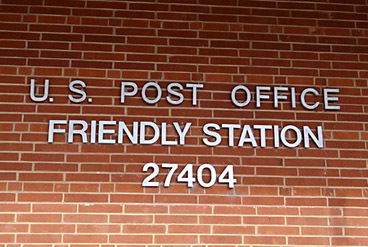 Postal appreciators enjoy unique post office photos, postal news, and links to all new Postlandia entries. With 1,500 fans and counting, join the community today! © Evan Kalish. All rights reserved.